Since 2002, the Eastman Rochester Organ Initiative Festival has been an incomparable exploration of the organ. The festival brings together organists, instrument builders, and scholars from all around the world. 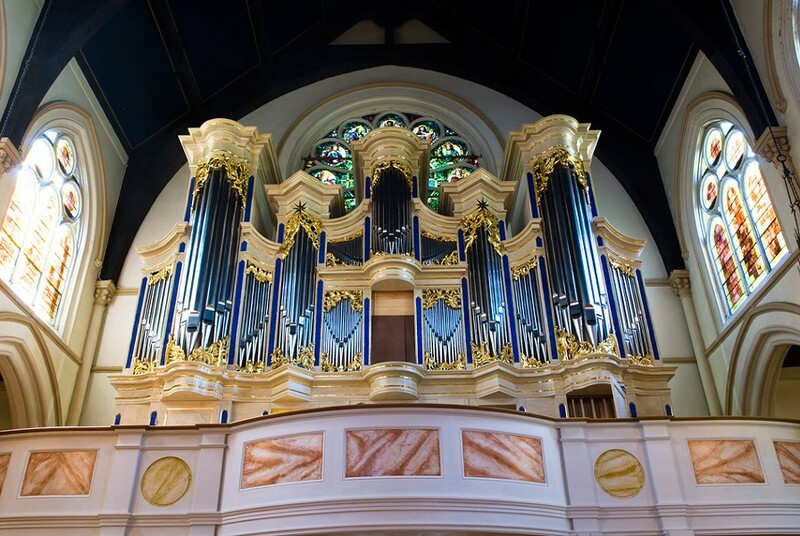 This year's edition, entitled "Beyond the Stops: Finding the Organ's Voices," also marks the 10th anniversaries of three major organ installations in the Rochester area – the Craighead-Saunders Organ at Christ Church, First Presbyterian Church of Pittsford's instrument, and the Halloran-All Saints Organ at Sacred Heart Cathedral. The festival's performing organists include Edoardo Bellotti, Hans Davidsson, and Thomas Lacôte. The EROI Festival takes place from Wednesday, October 24 through Friday, October 26, with the following concerts open to the public: Wednesday, October 24, and Friday, October 26, both at 8 p.m. at Christ Church, 141 East Avenue; Thursday, October 25, 8 p.m. at Sacred Heart Cathedral, 296 Flower City Park. All concerts $10-$15 suggested donation. 274-1000. esm.rochester.edu/organ/eroi.